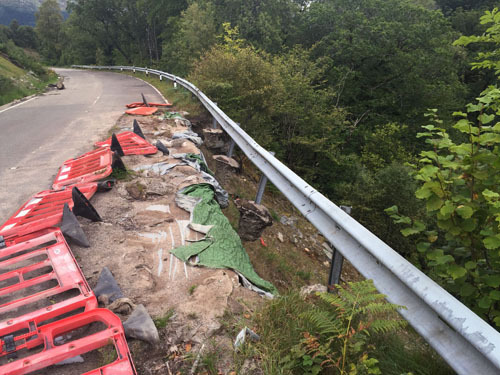 Jacobs UK Limited in association with Transport Scotland were tasked with designing and realigning the A82 at Glen Gloy due to land slippage caused by heavy rain over a long period of time. Due to the remoteness of the site and the difficulty with getting heavy machinery to the site a solution was required that could be carried out easily by hand, quickly but be a long lasting solution. Breedon Aggregates were tasked by Jacobs with installation of the drainage channels and they approached SmartDitch to supply the solution for the ditch lining. 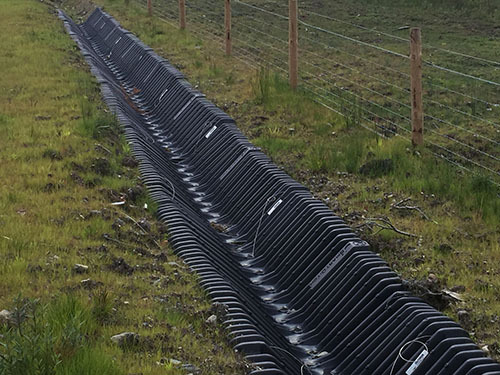 SmartDitch supplied 100m of its 413mm (12”) trapezoidal ditch lining system which was ideally suited to the conditions in which Breedon Aggregates found themselves working in and it was installed in a matter of days.